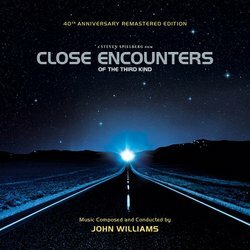 La-La Land Records, Sony Music and Columbia Pictures present Close Encounters Of The Third Kind 40th Anniversary Edition Remastered Limited Edition , a special 2-CD set featuring a newly restored and remastered presentation of Academy Award-Winning composer John Williams’ (Jaws, Star Wars) original motion picture score to the 1977 landmark feature film Close Encounters Of The Third Kind, directed by Steven Spielberg and starring Richard Dreyfuss and Teri Garr. 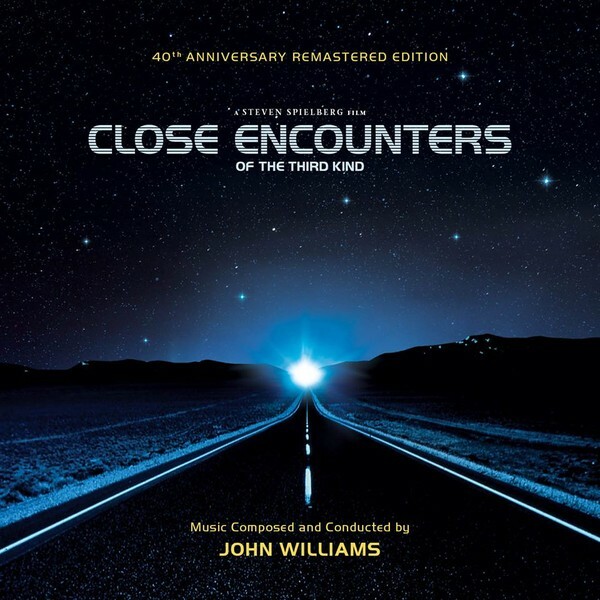 Maestro Williams’ score personifies this classic film’s boundless wonder – searching through, and communicating with, the deep expanses of space as it also explores the unknowable mysteries of the human soul. This deluxe 2-CD edition, meticulously produced, mixed and mastered by Mike Matessino, in consultation with the composer and director, was inspired by the discovery that Williams had originally planned the soundtrack as a 75-minute double LP. Disc One of this presentation takes its lead from that initial intent, expanding and organizing the score as a grand symphony contained on a single disc. Disc Two offers an equally fresh experience of the score, comprised of discrete versions of cues, alternates and selections not heard on Disc One, plus many of the 1977 album tracks, as well as previously unreleased source music recorded for the film. Matessino’s exclusive liner notes explore this iconic, majestic score, while Jim Titus’ art design handsomely recalls all those joyous feelings generated by one of the greatest science fiction film experiences of all time.